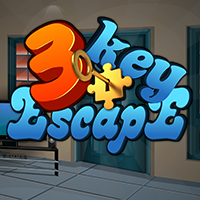 The story of this game is to escape from the 3 key house. Assume that one day you are stuck inside the house. You have to escape from there by finding 3 keys. Click on the objects to interact with them and solve simple puzzles. Play escape games and have fun!